Certainly the most notorious of the WRC rounds, Corsica has been scene of many bad accidents. Best known is death of Henri Toivonen in 1986 with Group B Lancia Delta S4, but year earlier Attilio Bettega died on wheel of Lancia 037. Tommi Makinen has had two serious accidents, in 1997 he hit a cow at high speed and plunged down into a gorge. 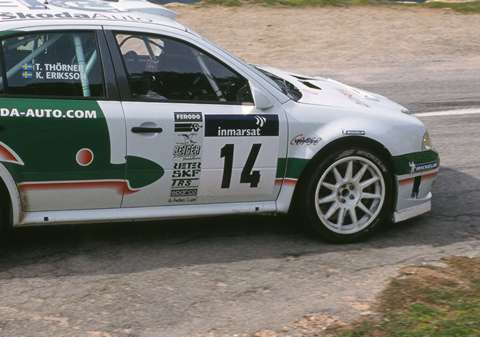 In 2001 he smashed then new Lancer WRC into a mountain, badly injuring co-driver Mannisenmaki. Colin McRae has also had two accidents resulting in injury but only in 2000 it was a serious one as he was trapped in the upturned car for a considerable time. Once dubbed 'Rally of 10.000 corners', this nickname describes Tour de Corse extremely well. Though both Monte and San Remo are twisty tarmac events too, Corsica is of different character. Tarmac is often old, worn and bumpy. Roads are built in the side of the mountains and as they follow contours of the land, there are very few straights. Event's challenge does not entirely lie in the twisty nature of the roads, however. On top of the numerous corners that require good notes (and hence, flawless recce) and perfect concentration, the stages are routinely among the longest in the championship. Abrasive surface, lots of corners and long distance taxes tyres, brakes and the crew alike. As the french name 'Tour de Corse' suggests, originally this rally was a tour around the entire island and route was one of the longest outside African endurance events. On top of that, the long route was run in just two days, meaning that drivers were almost constantly on the road. Only in recent years the mileage has been reduced to reasonable levels. 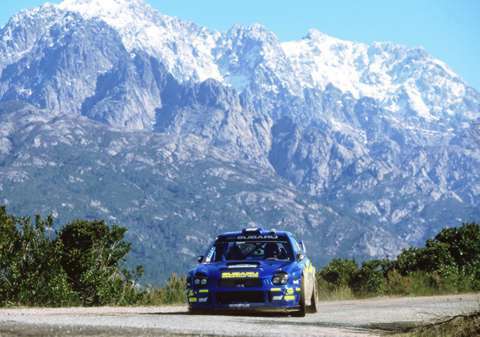 Event has been a traditional part of the WRC calendar as Corsica missed the slot only once in 1996 due to event rotation. Tradition was broken after 2008 when French round was moved to Alsace, apparently due to financially lucrative deal they offered. For 2015, that change was reversed and now Corsica is back. 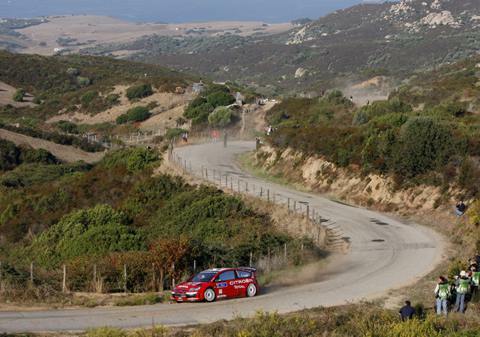 Here is an excellent proof why Corsica has been called The Rally of the 10.000 corners. A long-standing joke is that the longest straight on the island is on Ajaccio airport.